There are many reasons to make a will. Firstly, it allows you to make sure that your property is inherited by your loved ones when you die. It also means that you can get your estate ready so that they will not have to pay a large amount of inheritance tax. Although having a will is extremely important, it is equally important to have a will drafted by an experienced probate solicitor. Homemade wills are often littered with legal errors and do not account for any complicated changes that often occur in life. For example they often miss out assets and do not account for the death of the first beneficiary. 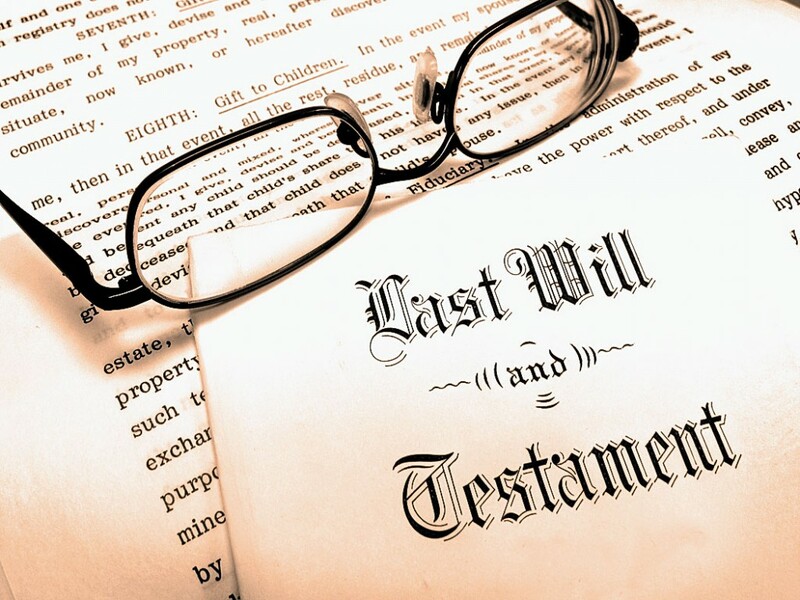 Such DIY wills often lead to situations where people try contesting a will or make an inheritance claim – which can be hugely expensive as well as risk irreparable rifts between the family and might end up in the estate being distributed contrary to how the deceased might have wished. You can appoint executors in your will. These could be professionals such as a firm of solicitors. They can also be family members with good business and financial acumen or more commonly a combination of both. Appointing a trustworthy executor ensures that your final wishes are carried out properly and efficiently, it also means that the value of your estate can be realised to its full potential. If your estate is large and complex, then having a competent executor is important. Estates involving trusts normally have a detailed will in order for the executor to know exactly what to do with the money. The creation of a will allows you to state any specific arrangements you want upon death, for example a particular style of funeral and your preference for cremation or burial. These are decisions that are often left to be made by close family and it can offer comfort to them in knowing they are following your instructions. A large number of people draw up a will so that they can make the most of any inheritance tax reliefs. Leaving assets to a spouse will avoid inheritance tax; you can set up a discretionary trust in your will to do this. Not only this but gifts made to charity are also inheritance tax exempt, so you could avoid giving money to the state by leaving it to a cause you believe in. A will can contain information about setting up a ‘lasting power of attorney’. This right can be awarded to a trusted person so that if you loose mental capacity there is someone to deal with your care, treatment and financial affairs. The will can detail who you want to have this power and facilitate a lasting power of attorney agreement in the future. It is sensible to nominate legal guardians in your will who will care for any children should you die. This is especially important if you do not have much family, or you do not want your children to be cared for by your remaining family. An experienced probate solicitor should be able to help you write a will for as little as 150 GBP plus VAT (dependent on the size and complexity of your estate). Once a will is created it can always be amended with any necessary changes as time goes on. Creating a will can ensure the security of your loved ones and help prevent money from your estate going to HMRC. Tim qualified as a Solicitor in 1987, moving to Salisbury in 1996. Since then he has spearheaded the expansion of his law firm Bonallack & Bishop, seeing it grow by 1000% in the last 10 years with offices in Salisbury, Andover, Amesbury, Verwood and Warminster. He plays a particular role in marketing and is responsible for major and strategic decisions and now sees himself as an entrepeneur who owns a law firm. Tim Bishop is senior partner at Bonallack & Bishop, a firm of solicitors experienced in contesting a will ( http://contestingawilluk.co.uk ) with a team specialised in inheritance claim cases. He is responsible for all major strategic decisions and sees himself as a businessman who owns a law firm.